After the lacklustre “expansions” Curse of Osiris and Warmind, Bungie really needed to drop something big to turn Destiny 2 around. A history of almost never putting the consumer first has given rise to an uneasy relationship between the players and creators that is often strained at best. Without a doubt, the newest expansion, Forsaken, needed to be the new Taken King if it was going to please the fans and justify the hefty price point. Since the announcement, I’ve had my reservations about Bungie’s treatment of Cayde-6. 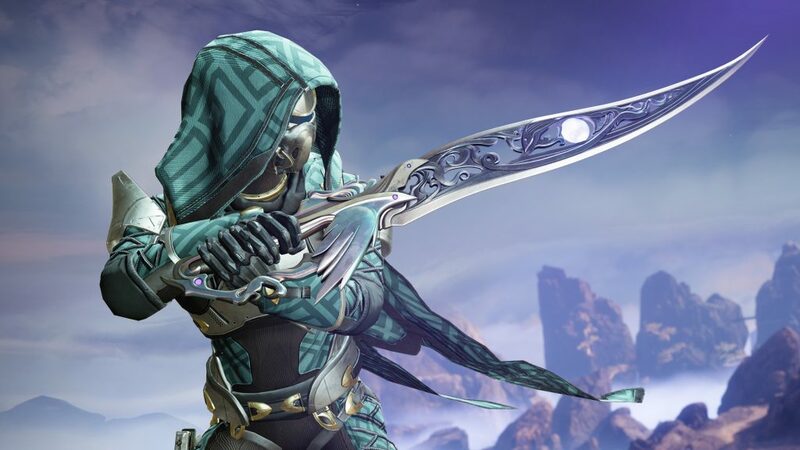 Arguably the fan-favourite, the Hunter Vanguard voiced by Nathan Fillion has been one of Destiny’s only real sources of levity since he first started sparring with Ikora Rey in The Dark Below expansion. I’ve never been against killing well-liked characters to drive a narrative (Hell, I’m a Game of Thrones fan), but as I played the first few missions of Forsaken I couldn’t help but feel that Bungie did themselves, the fans, and the character of Cayde-6 a massive disservice by spoiling his death for the sake of trailer shares. The death itself is a fantastic piece of CGI that really shows off just how powerful – and cool – an experienced Guardian is in combat, and is actually a fitting and emotional end to one of Destiny’s true heroes. That said, a proper set-up and a shock reveal would have kickstarted the story in a much more meaningful and impactful way. Because, honestly, after Cayde-6’s fall, the story doesn’t really have any other surprises. So it begins with your Guardian travelling with the Hunter Vanguard to the Prison of Elders to meet Petra Venj, returning from the first game. Prince Uldren, brother of the Awoken Queen Mara Sov, has orchestrated a prison break, releasing eight Fallen Barons known as The Scorn, to help him track down his sister. We all saw her quite possibly die in the opening cinematic of The Taken King, but Uldren believes otherwise and, guided by visions, sets out to restore her. Clearly shocked to words, your Guardian actually speaks(! ), swearing revenge on Uldren Sov before embarking on a mission of vengeance alongside Petra. It has to be said that the Forsaken campaign is the best thing Bungie have produced since Rise of Iron. It beats Destiny 2’s vanilla campaign hands down, and reduces Curse of Osiris and Warmind to footnotes. 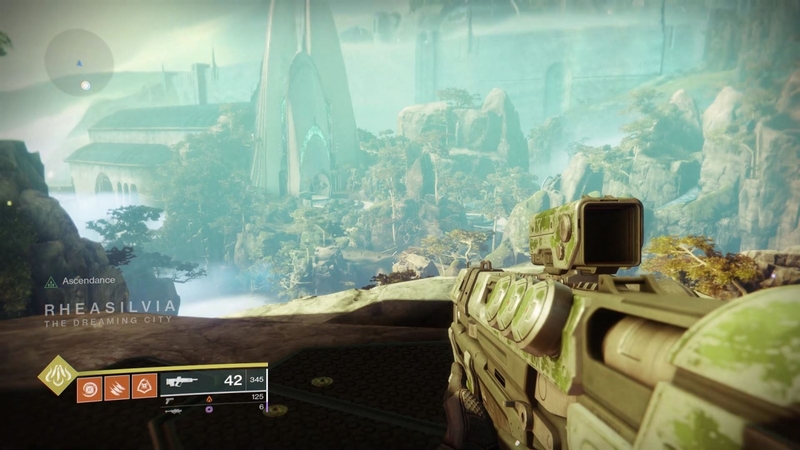 Although there are only five main missions, the middle part of the campaign focuses on taking down six of the Barons hiding out in the Tangled Shore, a huge asteroid somewhere in the Reef. You can tackle these in whichever order you choose, although unless you’re hitting them at around 420 Light (the new cap is 600), you’ll be forced to leave certain Barons til later. These are tracked as Adventures, and each presents a self-contained mission and boss fight, and genuinely provide some of the best gameplay Destiny 2 has offered so far. Each one is different to the others. For example, the Rifleman (who shot Cayde-6’s ghost in the Prison) uses decoys to distract you, the Trickster leaves collectibles like yellow engrams and glimmer that are rigged to explode, and the Rider zips around on a pike, making him a harder target to hit. Once those six are dead, you’ll face off against the remaining two, then Prince Uldren and a final battle in the Awoken Watchtower that I’m pretty certain sets up the imminent new Raid, Last Wish. Missions are handed out by the Spider, a Fallen gangster who controls all crime on the Shore. I was hoping to see Variks in this kind of role, but the sinister Spider does a sound job, offering lucrative bounties to hunt down Prison of Elders escapees all across the system. He also allows you to trade planetary materials, Legendary Shards and Masterwork Cores for varying amounts of other materials, creating an interesting system which, in true Bungie style, needs some tweaks. You now need Masterwork Cores to infuse armour, you see, which makes every piece of Legendary gear count and forces you to mix and match armour sets to maximise the new random perk rolls. I didn’t see a single Legendary drop until I was over the new cap of 50, and Prime Engrams (which you need the Cryptographer to decode) are incredibly rare. In well over 20 hours, I’ve not seen a single Exotic Engram drop from any activity. 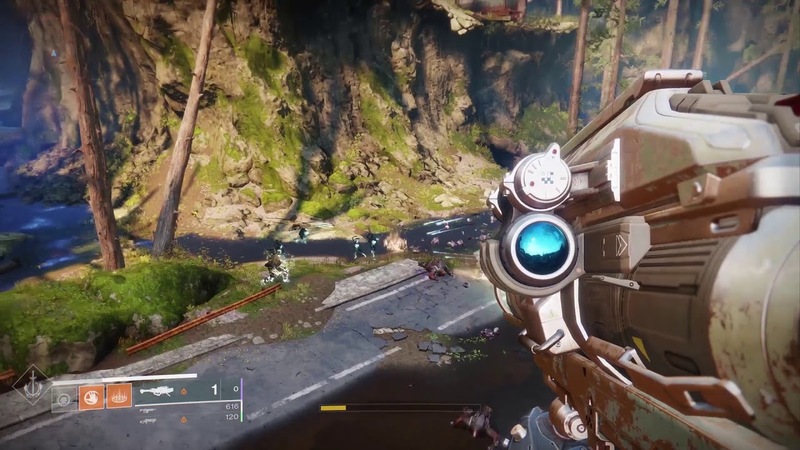 Although fairly light on story, the new campaign is a lot of fun, managing to mix in some engaging boss fights, the obligatory tank mission, and a lot of new and returning gameplay elements such as diffusing mines from the Prison of Elders and, of course, the Combat Bow. This new weapon has a slower rate of fire (obviously) and takes a little while to get used to, but has fast become my favourite weapon. There’s no new race of enemies in Forsaken, but the Scorn do require different tactics to take down. For example, Chieftains are heavies that can summon drones to spray fire, shield their allies, or pull you in with a tractor beam, Lurkers hide behind shields and throw fireballs, and Screebs skitter towards you like Gears of Wars’ Wretches and explode at proximity. Each class also has three new supers, one for each Subclass. Cleverly, you can only unlock one per character in the campaign, and will have to grind end-game events for the material to unlock more. So far I’ve used the Hunter’s Blade Barrage, which is a Solar super (showcased by Cayde-6 himself in the Last Stand cutscene) that hurls flaming knives out in all directions, and the Warlock’s new Nova Bomb, which allows you to teleport a short distance and unleash a huge swell of power. I’ve yet to unlock the others, but the change is welcome and it’s great to surprise people in new ways in the PvP modes. New Crucible maps will launch over the next week or so, but the new Gambit PvP/PvE hybrid mode is one of the best experiences I’ve had with an online shooter. A new NPC known as the Drifter has taken up residence behind Cayde-6’s ramen shop in the Tower, and brings with him not only the new mode but a load of new gear, bounties and lore. His personality and backstory bring up a lot of questions about his sanity and true allegiance, but his bizarre dialogue and lore present him as Bungie’s obvious narrative replacement for Cayde-6. Time will tell how that goes. Either way Gambit is excellent, pitting two teams of 4 against each other and waves of enemies. Every kill drops a Mote of Light, which must be banked at the centre of the map. 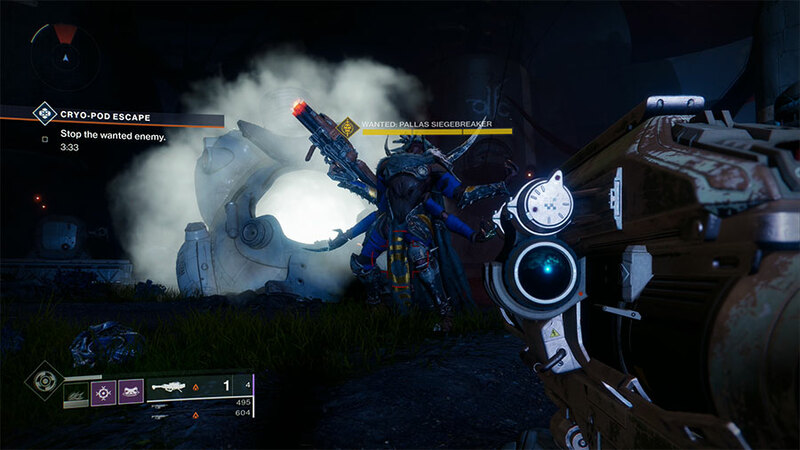 For every 5, 10, or 15 Motes banked in one go, you’ll send a “Blocker” to the opponents’ bank which must be killed before they can store any more Motes. Once you’ve banked 75, the Drifter will summon the Primeval, a huge yellow-barred boss. If you kill it, you win – but the other team can invade you periodically for 30-seconds at a time and each kill will heal your Primeval. It’s as much fun invading as being invaded, and I look forward to seeing variations on this mode in future. As for Strikes, two of the new ones are fairly by the numbers (one is a rehash of the Campaign’s final Baron fight), but Warden of Nothing is possibly Destiny 2’s best Strike. It sees you, guided by the Drifter, head back to the Prison of Elders to defeat the now-crazed Warden’s Servitor. Remember that Servitor who always demanded to be pleased while you danced in front of him before each PoE round? Yeah, him. It’s a great throwback with some truly nostalgic environments and sound effects. Once the campaign is done a second new area opens up called the Dreaming City. While the Tangled Shore most reminds me of a kind of hybrid of the Moon and the Plaguelands, the Dreaming City is beautiful, reminiscent of something from Oblivion. This is now Destiny 2’s end-game grind area, featuring a new event called The Blind Well which rewards high-tier loot, as well as a decent spread of secrets to unlock. 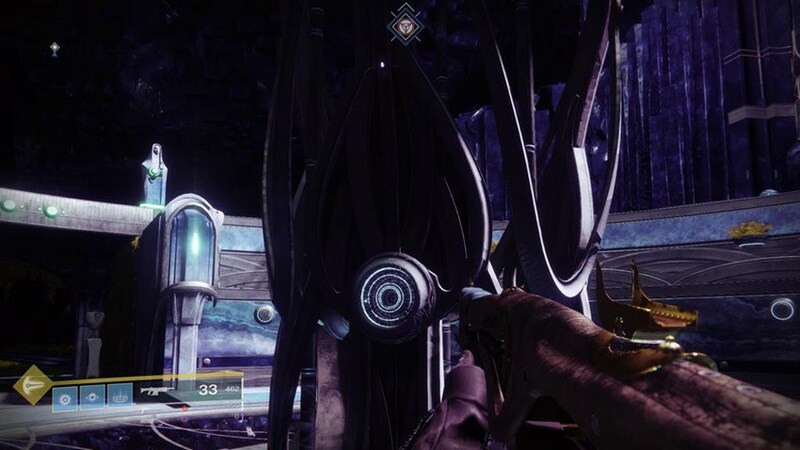 The Dreaming City is also highly likely to be the setting for the new Raid. It’s safe to say that Forsaken delivers the content Destiny 2 has been waiting for, but again it’s a shame Bungie made us wait a year to release the game we should have had from the start. It’s a practice that needs to die, as it never, ever causes anything among the fans but bad feeling. I’d also add that Bungie tried to sneak in some mandatory grinding to pad the runtime, and we noticed. A period that sees you having to complete 5 bounties for the Spider to proceed is irritating, and some of the Barons are locked behind difficulty walls that will require some levelling. I should also point out that in order to unlock the Dreaming City, Bungie force you to jump through some pretty tiresome hoops, such as killing around 300 Taken and looting 3 Tangled Shore Lost Sectors. It’s annoying, and was the only part of the experience I found to be a bit of a drag. Overall, Bungie have delivered what the fans wanted: a decent sized campaign, two new areas, and a meaningful overhaul to bounties, loot and progression (you can now re-draw Shaders and gear from your Collection in exchange for Bright Dust and Glimmer) that makes a real difference to the quality of life. Silver is less essential, too, as it’s now much easier to earn Bright Dust and unlock rare cosmetics thanks to daily Eververse Bounties. The evil of microtransactions is not vanquished yet, but they feel less forced than before. There’s a definite sense that Destiny 2 is back on track. It’s too late for some disillusioned fans, and I think that’s fair given Bungie’s repeated fumbles, but Forsaken is the first real step towards fixing the game. The story is beginning to pull together threads from the first game that seem to be moving towards something meaningful, and there’s so much new content it’s hard to complain too vehemently about anything other than the price. Had this been 50% cheaper, Bungie might have won back nearly all the fans who’ve walked away. Still, for the first time since September last year, there’s hope for Destiny 2. In short: An excellent expansion that just might win Bungie back some favour - if people are prepared to pay for it.